I choose these two moisturisers when Etat Pur was giving them away on their facebook page when they first launched in the UK. It seems like they do this offer quite regularly so keep an eye out for another one. I've been using them over the last week or so and have really been enjoying them. Even though they're only little 5ml samples they've lasted a surprisingly long time. As they're so moisturising you only need a tiny amount. The melting moisturising cream is suitable for all skin types. I've been using this in the morning as even though I have very dry skin, I prefer something slightly lighter throughout the day. It's really moisturising without feeling heavy. This is also a perfect base for make-up. It does have a slight fragrance which may irritate some people but I haven't had any. The full size costs £7.80 for 40ml which I think is a really good price. I've been using the ultra-rich nourishing balm at night as it's a lot thicker and more moisturising and I find it lasts longer on the skin. It's my favourite out of the two as it's makes your skin feel incredibly soft. Again this has a fruity perfumed scent but I haven't had any irritation from it and I have very sensitive skin. This one is slightly more expensive at £9.20 for 40ml but I still think it's a great price. 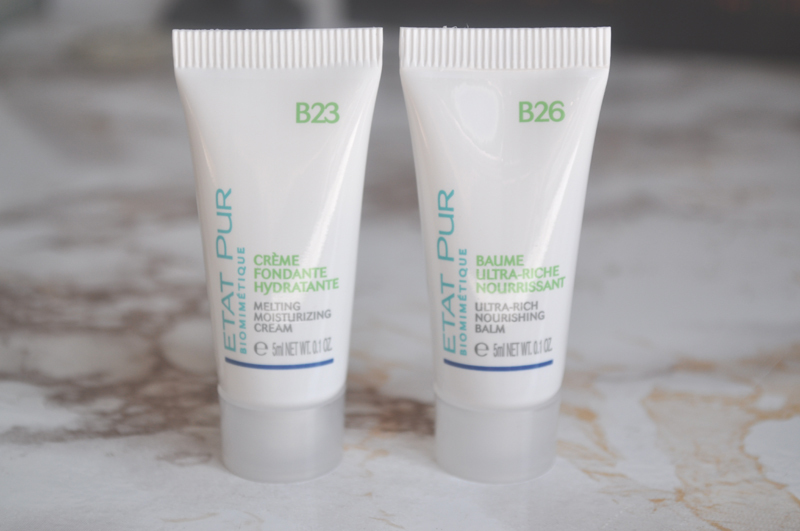 Have you tried anything from Etat Pur?